This event will showcase a number of supply chain opportunities related to the new schools construction build in Levenmouth and Viewforth areas of Fife. 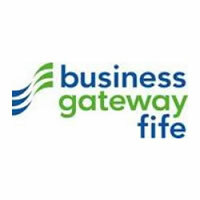 It will be hosted by Fife Council Economic Development in partnership with BAM Construction Ltd. Businesses can meet members of the BAM Construction delivery team and identify opportunities to become involved in one or more of the projects by being added to the sub-contract or supplier tender lists. Representatives of Fife Council Schools Project Team, who are managing the delivery of new schools in the Building Fife's Future programme, will be at the event as well as representatives from Fife Chamber of Commerce, Business Gateway Fife and Supplier Development Programme. The event is an informal drop in session at Fife Renewables Innovation Centre (FRIC) between 9am and 12pm on Tuesday 08th April, although registering your interest to attend is advisable. Contact kellylister@fifechamber.co.uk or call 01592 647740 to pre-register to ensure we can book you a slot.